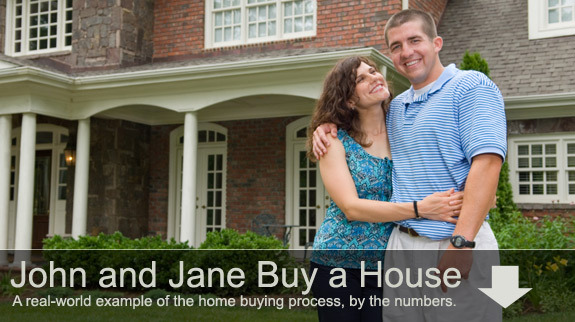 Below, you'll find a step-by-step overview of the home buying process. This real-world example walks you through the various steps, and it provides links to related information. The easiest way to understand the home buying process is to go through it step by step. Bearing in mind that the process varies from one buyer to the next, it usually goes something like this. This is the story of John and Jane Doe, who are buying their first home. Keep in mind that the home buying process varies from one buyer to the next. You might have to go through additional steps that are not listed above. On the other hand, you might choose to skip one of the steps above. But this is generally how the process works. We recommend that you do not skip the home inspection, as some buyers choose to do. You can learn more about the home buying process by using the search tool at the top of this website.